I don’t want to talk about it. I gained weight. I am trying to tell myself it’s because last week I weighed myself on my scale, but my scale shows the same weight as the ‘challenge scale’. As far as the challenge goes, I am still on a losing streak, but that’s only because I missed last week. If I had gone in last week, this week would be a gaining week. It’s my own fault. I knew I wasn’t drinking enough water and I knew I was being lazy and I knew I was skipping meals. Next week will be better though! It’s not a huge gain. I can get over it. I’m just a little disappointed in myself for making the choices I knew would lead to this. Here’s to a new week starting tomorrow morning! This last week has SUCKED as far as my weight loss efforts. I gorged myself on chocolate, wasn’t paying attention to how much water I was drinking, and didn’t do much as far as working out went. But, somehow the weight loss gods were on my side, and *drum roll* I am down 2 lbs! That is a loss of 2.4 lbs this week and 5.2 lbs (or 3.07%) total. I am feeling awesome about myself. Just eating more often and drinking more water/cutting out pop is making such a difference! 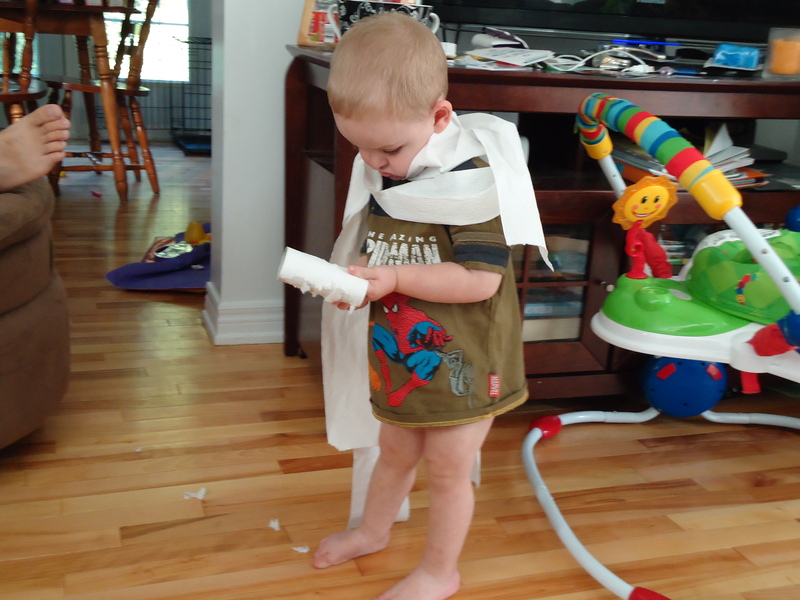 Today, for some random reason, Hubs and i decided to start the three days to potty training with the boys. By noon, Nick was back in diapers. He is not ready! He bawled his little eyes out every time he peed. Alex, however… Alex only peed on the floor twice all day! He went to his potty every other time! My stubborn monster is finally getting it! I am so so so so proud of him! Every other time we tried, he fought so hard, we backed off. This time, he is thriving in our praise! I am still worried about him holding in bowel movements. But I guess we will see what the next few days brings! This picture is from August of 2012. Alex was only 20 months old. But it makes me smile and giggle. I was up at 430 AGAIN this morning with my monsters. But I got Nick to nap today for the first time in over a week. So I am hoping that it’s a sign tomorrow will be better since maybe he won’t be as over tired and his little body with actually rest better. Also I broke Alex’s car seat and need to go replace it. I read the wrong manual and thought the base on his came off. Turns out only Nick’s base has the option of coming off. I guess we are buying a new car seat. Ha ha. What a day. I am off to bed. Tomorrow is a new day. As I mentioned in my post last night, I have recently joined a Biggest Loser weight loss challenge in my town. It is being run by a woman on our community. Everyone who wants to participate was required to pay a $20 registration fee (to be put into a pot for the winner) We go to her home every Tuesday evening to be weighed (to be sure we are using the same scale every week and there are no discrepancies!). 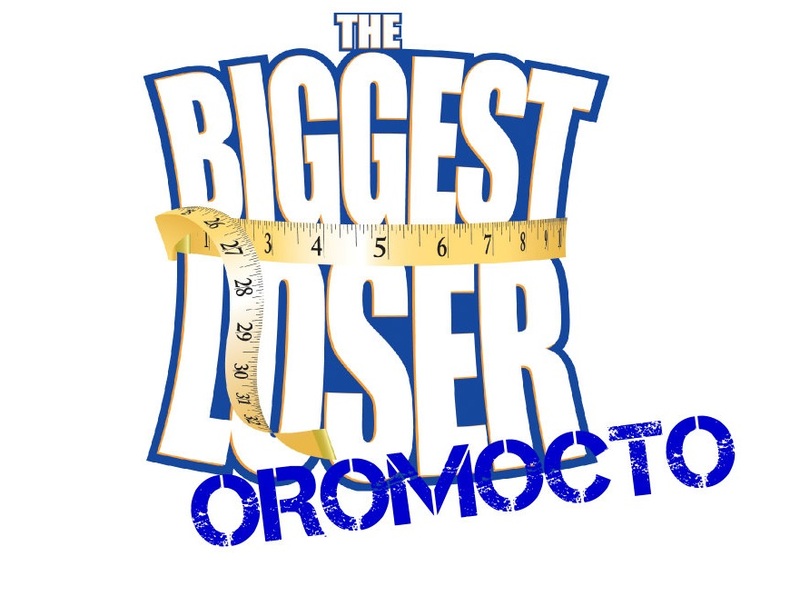 There are weekly prizes donated by WAHM’s for the person who lose the most weight that week. If you gain weight in any week you owe a $2 fee. On December 17, (after 8 weeks) we are going to have our final weigh in as well as a potluck and find out who the winner is. The winner is determined by who has the highest percentage of weight loss. I decided to join the group because Zoey is 5 months old and I haven’t lost a pound since she was a month old. I haven’t gained either, but I still weigh more then I would like to. I like the idea of being held accountable. And having a support group behind me. And a little healthy competition is always fun! This is also the reason I am choosing to share this with the blogging world. It holds me a little more accountable, and you guys are a great group of supportive people! Going to the gym a hundred times a week isn’t going to happen for me. First off, I can’t afford a membership and second I just don’t see myself sticking to it. I want to make lifestyle changes that I can stick to. Not just changes to lose weight over the next 8 weeks that I am going to put right back on! So my plan is to walk every day, both with and without the kids. I am being more conscious of my eating choices. No more skipping meals (which I do waaaay more then I should) Other then coffee, the only thing I plan to drink is iced water (with lemon when I need the flavor) In my coffee I am lowering the amount of cream I use and sweetening it with honey instead of sugar. I am planning on getting a skipping rope and spending 5 minutes at a time skipping (hopefully a few times a day) and every other day I am planning on going to a fast paced 30 minutes bike ride. Based on a healthy BMI (using the unreliable online BMI calculators) My ideal weight is 97-132 lbs. After talking with my Dr, my goal weight is 125 lbs. But more then a weight loss goal, my goal is to feel good about my body. To feel confident with how I look. To feel healthy. My starting weight for this 8 week challenge is 169.2 lbs. Any advice, links, recipes (the more family friendly the better!) etc are more then welcome!